Ring sling baby carriers have increased in popularity in the past few years. They look great and give you a variety of carry options. Research has shows that ring slings reduce crying, especially in newborns. They also make great covers for when you’re breastfeeding in public, too. On this page, we take a look at the best ring slings for newborns, and for toddlers too! If you’ve been looking at baby carriers or slings for a while, you’ll have noticed that there are two distinct types. “Baby rings”, which are often seen as the natural baby carrier, and modern “baby carriers”. Modern baby carriers, tend to support your child in a sitting position, cradled with his front facing your body. 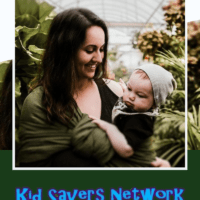 This offers similar benefits to the baby ring, however, it’s easy to make mistakes with how you support your child in a baby carrier. Ring slings, on the other hand, offer a simple and easy way to secure babies in their natural “C” shape. They’re also great value, too. 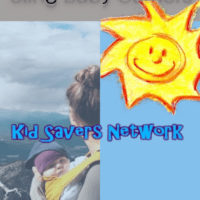 When choosing a baby ring sling, the most important thing to look for is comfort. Different body shapes will respond to ring slings in different ways. When wearing the sling, you shouldn’t notice any pain, discomfort or strain in your neck, shoulders or back. As for your little one, he should be held snugly in his natural position. You can tell when this is true because your baby will look like the shape of the letter C, similar to the way adults love to sleep in an S shape. The Mamaway baby carrier is perfect for parents who are looking to purchase a newborn sling, whilst not breaking the bank. There are a wide range of colors, something that’s obviously important if you’re going to be wearing your baby out and about. And they are all made from stretchy and comfortable 100% prima cotton. Mamaway’s material makes it strong enough to support your child until toddler age. Obviously, you may stop carrying your child well before they begin to walk. Still, it’s nice to have the option, especially as toddlers get tired quickly. The only drawback with the Mamaway baby sling is the price. However, for the quality and ease of use, it could be the perfect one for you. My husband actually loves our Mamaway ring sling, as you can see on our page “Baby Carriers For Dad“! ONE SIZE FITS ALL: Easy to set up, fits any different body sizes and carrying positions. Extra width, ideal for newborns to toddlers. Versatile one size fits all sling that are quick, easy and simple to adjust in order to carry your child easy and safely. Mamaway Ring Sling Baby Wrap allows you to carry your newborn in the same position they have assumed in the womb, making it easy for eye contact to bond with your new loved one. MULTIPURPOSE: Womb-like environment, babies cry lesser and sleep more. Can be used as a nursing cover and a blanket. Nursing your newborn in the wrap is comfortable and discreet. It can also be worn as a postpartum belly band. ERGONOMIC: The curved pouch shape design makes a deep pocket that allows for a more comfortable fit for baby and a better grip on babys legs. Most moms find it with less slipping problem for squirmy babies. Babys weight is evenly distributed along your back and shoulders to comfortably carry your baby or toddler, for hours on end. CONVENIENT WITH SAFETY: Patented pocket design, Lightweight at only 0.66 lbs. It is compact enough to pack away in diaper bag. Tested to hold up to 110 lbs over 24 hours. Machine washable, 100% Premium Combed Cotton, breathable clothes. COMFORT WITH SUPPORT: Lightly padded Shoulder portion distributes weight through torso and avoids straining the neck . Lightly padded railings provide right amount of cushioning for babys tender thighs, with no sharp edge cutting into flesh. Mamaway sling carrier has no overheating problem for baby and mother which is perfect for hot weather. Another good option for those looking to try a baby sling, the Beco Baby Carrier is great value for money and offers good support for your baby. It’s well proportioned, with a tail that’s not too long for most parents. Unfortunately, the Beco Baby Carrier doesn’t come in a range of colors. However, it does come in a muted gray which should be easy to wear with most looks. During our test, we found the Beco to be an easy wear. Our child feel asleep readily whilst inside, making trips to the shops very easy indeed! The one issue we did have with this model was the weight of the fabric used. Although we’ve no doubt it’s very strong, we did feel it was slightly too much for carrying a baby. During summer months you might find tie material slightly too thick, although you might love this one if you live in a cooler climate! The classic way to carry your baby from newborn through toddler. This is a great ring sling and looks very stylish when worn. The Maya Wrap is made from 100% cotton and feels lovely and soft against your skin. It comes in a range of sizes starting with small and then working up to medium and large. One very nice touch we found with the Maya Wrap was the instructional video bundled in with the pack. It’s a great bonus for parents who could do with a primer before carrying their child for the first time. We found the length of the tail perfect. As the Maya Wrap comes in a range of sizes, you’ll be able to choose the tail length to suit your needs. This is great if you like to include a little extra length for nursing privacy. A great thing about this model is the variety of colors (16!) available. You’ll be able to find one that’s perfect for shopping, family outings and leisure time too. The Haul’A Baby is a strong and well-made baby wrap that comes in at a very reasonable price. This ring sling is made from quite a stretchy cotton / spandex style fabric. 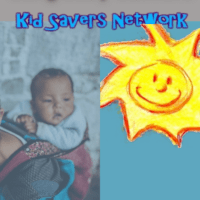 It actually works very well in daily use, with the fabric having just a little give, really helping an infant to snuggle down and get some sleep. It also features quite a nice amount of tail length, allowing privacy if you decide to breastfeed whilst out and about. The Haul’A Baby Wrap also comes with a handy carry bag, keeping it nice and clean when traveling plus it also comes with two different rings, each offering slightly different carry position. We found this sling very good value for money and although it might not be the most stylish sling on the block, it’s certainly one that should be in your luggage when you travel! 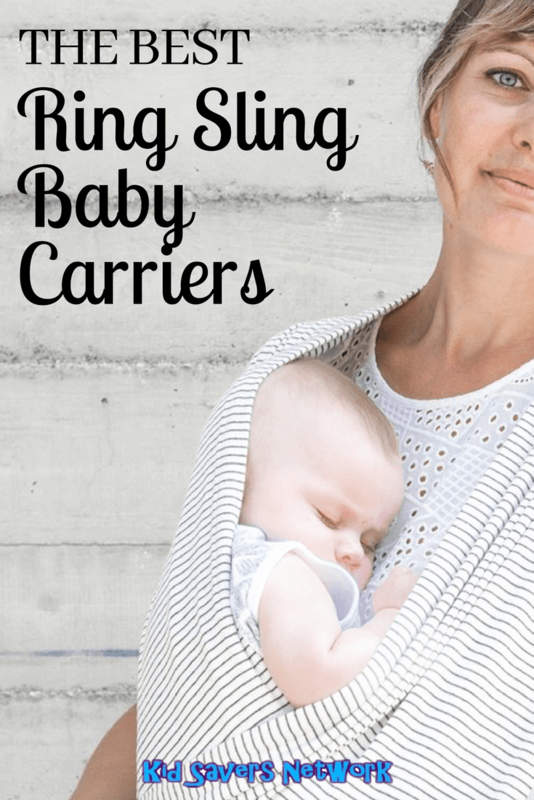 BREATHABLE CARRIER WRAP: HaulA Babys baby sling, belly wrap and binder is the most lightweight device for babywearing on the market, so you and your newborn can cuddle up in any kind of weather. Our wrap for babies is perfect for experienced and expectant mothers alike. ONE-SIZE-FITS-ALL: Our unisex swaddle wrap and baby holder is solid, combining soft cotton and stretchy spandex to adjust with your growing baby. Longer than most baby wraps, its great for plus size moms, men or other caregivers. It can carry up to 40 lbs per ring. VERSATILE INFANT CARRIER: Our ergo baby wrap offers both forward facing and hip carry options for comfortable, easy wear, and ultimate baby protection. Meet your babys needs and save money while they grow, for a hands-free, active lifestyle. The wrap can be worn front or back, for girls or boys. BOND WITH YOUR BABY: Baby wearing shirts encourage intense parent-child bonding, which is essential for the wellbeing and health of your infant. Perfect as a nursing cover while breastfeeding, or as a swaddle wrap, with this baby pack you can keep your newborn safe and comfortable all day. GREAT VALUE PRODUCT: Our 4-in-1 convertible carrier works as a ring sling carrier, newborn wrap, postpartum belly binder, or maternity belt. With our 365 Day Money Back Satisfaction Guarantee were confident youll love our stylish baby wearing wraps. O.k, this one is not a “Ring Sling” per se, but as it’s similar to the “Haul A Baby” we decided to include it as well. Personally, we find the spandex material is particularly great for a Mom with a newborn. It’s long at 4.5 meters and stretchy so it fits all sizes and can adjust with your body after giving birth. As long as you wrap the baby with good head and neck support (and there is a user manual included) this sling can be used with a newborn. It’s also very easy to completely tuck-in their little arms and legs. We love being able to do this, especially when you have a winter baby. Like many of the ring slings we featured, the Innoo Tech is machine washable. There are a few things that we didn’t like about this ring sling. It’s only a front carry, which is fine for infants. When they get a bit older you won’t be able to hip or back carry. And lastly, like so many baby products these days – it’s made in China, which may be off-putting for some. Sometimes, Amazon has the Inoo Tech Sling available at a really great price. ♥Reduces Crying: When the baby is wrapped in a sling, its muscles relax and crying will not come easily. With relaxed muscles, its much easier for the baby to fall asleep. ♥Enhance the Bond with Baby-Babies all love being close to mommy! Stay close to moms heart, a baby can hear your beating heart and feel the warmth from your body in the sling where he can feel peace of mind. ♥Keep You Comfortable-Say goodbye to shoulder and back strain. The sling surrounds you and your babys spine, making it easy to counteract the babys weight with your back. You will no longer get tired or get any sore muscles. ♥100% Rock Solid, Money Back Guarantee-We believe in all of our products and this baby wrap is no exception. We think youre going to love it, but if you dont feel that this product is for you, let us know and we will refund every cent of your purchase or send you a new replacement free.